Eric and Ryan Jensen, owners of the Colorado cantaloupe farm linked to a 2011 food poisoning outbreak which killed 33 people and sickened 147, have been arrested and charged with selling contaminated food. Eric and Ryan Jensen face up to six years in prison and up to $1.5 million in fines. The brothers did not adequately wash the melons before selling them, US officials say. The Jensens called the outbreak a “terrible accident”. The outbreak of listeriosis stretched from California to Virginia. The brothers, owners of Jensen Farms, surrendered to US marshals and appeared briefly in federal court on Thursday afternoon. They pleaded not guilty to misdemeanour charges and were released pending trial in December. The Jensens called the outbreak a “terrible accident” after their court appearance, the Associated Press news agency reported. A spokesman for the federal prosecutors told the Associated Press they leveled the “most serious” charges they could, as stricter felony counts would required proof the contamination was intentional. An FDA inquiry found the Jensens installed a new cantaloupe cleaning system – designed to clean potatoes – in 2011. The system included a chlorine spray meant to remove bacteria, which was never used. “The defendants were aware that their cantaloupes could be contaminated with harmful bacteria if not sufficiently washed,” the office of the US Attorney for Colorado said in a statement. “Food processors… bear a special responsibility to ensure that the food they produce and sell is not dangerous to the public,” Attorney John Walsh said in the statement. 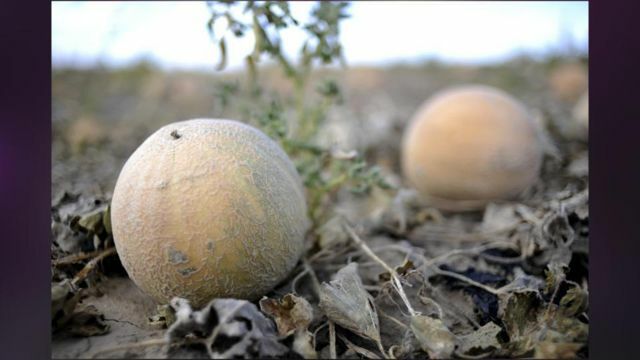 The Jensens’ actions resulted in at least six shipments of contaminated cantaloupe being sent to 28 states, officials said. If convicted, Eric Jensen, 37, and Ryan Jensen, 33, face up to one year in prison and a fine of up to $250,000 for each of the six counts against them.